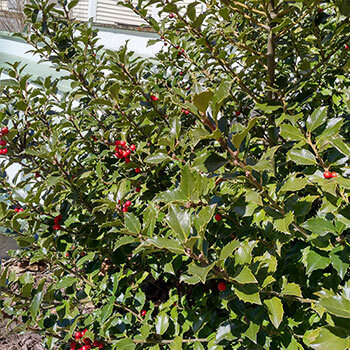 It's natural to associate holly with the holiday season, but Blue Princess Holly is a full and lively feature that can be enjoyed year-round in your yard or garden. Add some texture to your mixed border with its spiny leaves. Its bright red berries will appear in autumn to reboot the colour in your garden and keep the landscape lively through the winter. You can start growing this holly plant this summer—we're shipping it now, ready to plant, in a gallon pot. Bloom Time Evergreen year round. Blooms April - May. 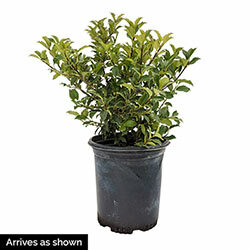 Bloom Time: Evergreen year round. Blooms April - May.